To view the great selection of apartment rentals click on the links below to preview. 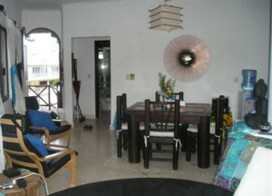 Very Nice Two Bedroom with Balconies - PK21 This is an opportunity to experience and live in the home of a Mexican Artist. Condominium Playa Kaan 21 is conveniently located just two blocks from Fifth Avenue and three walking blocks from the Caribbean Ocean. From the time you enter the welcoming gated entrance with water features, you will feel the warmth of this tropical vacation gem. Spacious Two Bedroom Condo in Great Location Pk 22 Well distributed spacious 2 bedroom/2bathroom condo close to 5th Ave and beach. 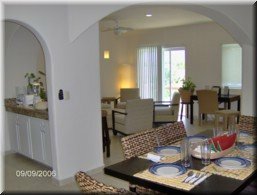 Close to everything - yet a quite condo, nicely furnished in minimalist style, with two big balconies overlooking the pool and garden area. 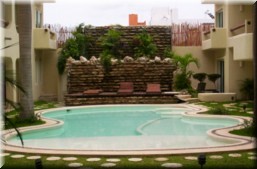 Two Bedroom Close to Everything Penthouse - PK23 Spacious 2 bedroom sleeps 6, in the best area of Playa del Carmen. Minutes from beach and restaurant area and minutes from beaches. 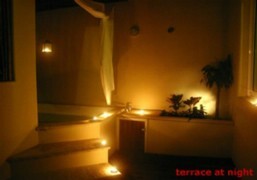 Penthouse with own private roof garden with Jacuzzi, shower and outdoor kitchen area. Cozy Two Bedroom Condo Pk 10 Villa Moderno is a unique 2 bedroom, 2 bath condominium designed to provide you the luxuries of an ideal vacation getaway with the comforts of your own home. Located in the heart of Playa del Carmen, just 1.5 blocks from the famous 5th avenue and 3 blocks from the beach, Villa Moderno is ideally situated for access to everything that Playa offers. 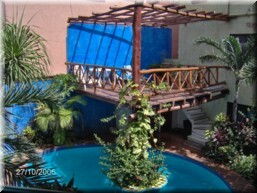 Casita Oceano - PK01 Casita Océano is a charming one-bedroom ground floor condominium that sleeps up to 4 people. It is conveniently located in a small complex only 2 blocks away from the bustling 5th Ave and 3 blocks from the beach. 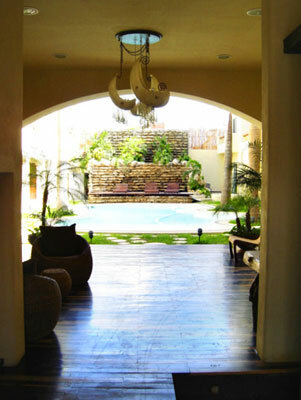 We aim to provide the tranquil environment needed for your vacation to make your stay in Playa comfortable and enjoyable. One Bedroom, Sleeps 4, Great Location - PK07 One bedroom condo with high ceiling with a mezzanine with extra queen size bed. Perfectly new condo with all amenities right in the center of Playa del Carmen - only a few steps from shopping area and the beach. One Bedroom, Downtown Playa del Carmen - HG11 Stylish Mexican decorated one bedroom condo two blocks away from the most popular part of the tourist area, yet in a quiet area. Fully equipped for both vacation and long term rentals. Small, cozy and private complex with only 12 units. Nice common area and pool.